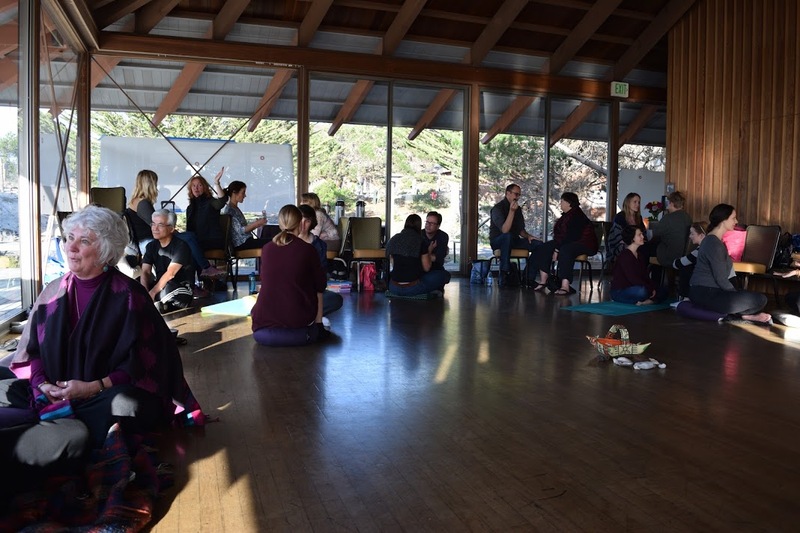 On May 5, some 20 MIIS faculty and staff gathered for an afternoon retreat offered by the Mindfulness@MIIS Working Group at the nearby Asilomar Conference Grounds on the Pacific Ocean. Over the course of the semester, there was a growing sense that staff and faculty were grappling with uncertainties at work, in society at large, and in their personal lives. The retreat thus offered time together, away from campus, to explore how we relate to what is occurring and how that, in turn, can shift our experience and how things unfold, even in our everyday work. This entry was posted in Midd Blogosphere and tagged Midd Points, MIIS News & Events on May 16, 2017 by Julie Johnson.